Google Scholar Guide: How to Use Google Scholar for Legal and Academic Research? Ever since the launch of Google Scholar search in November 2004, it has become indispensable tools among students, researchers, and legal practitioners around the globe. Be it working on their thesis, searching for a fellow researcher and their work, or searching for prior art for a patent or any law related search. 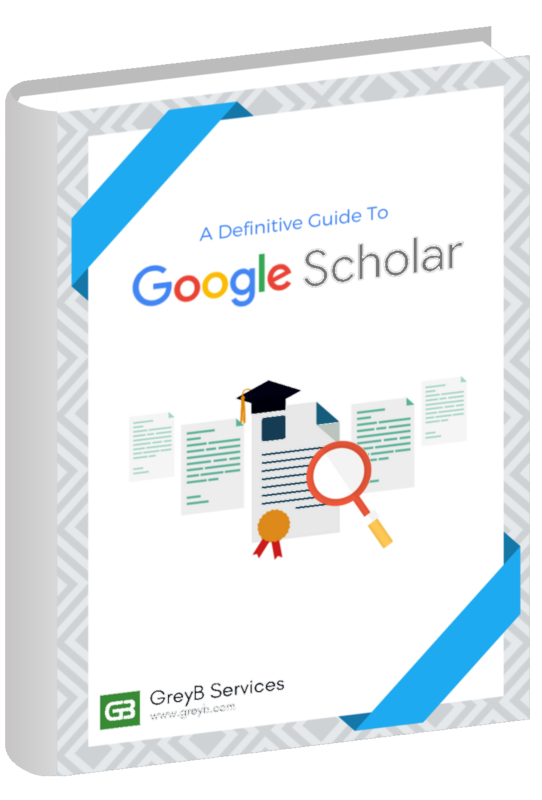 If you are searching for an all-in-one guide for using Google Scholar, this is the only article out there that can answer all your questions. 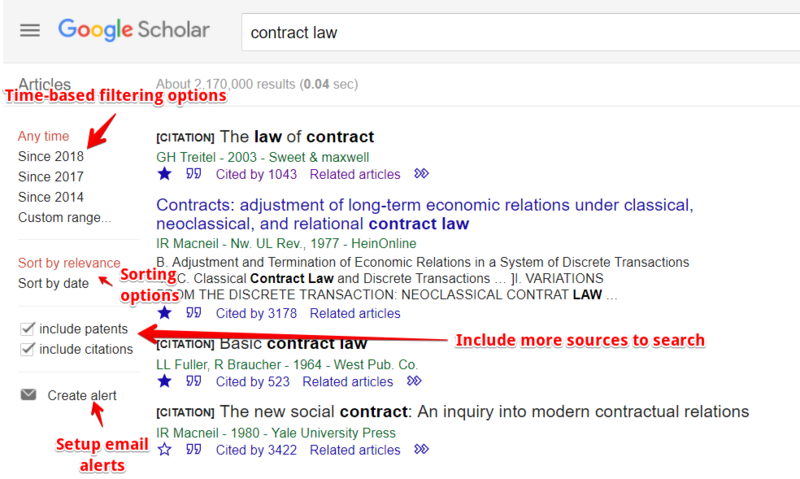 Through this article, we are going to briefly explore how Google Scholar can empower your scholarly as well as legal searches. Though this article is slightly focused for patent attorneys, we are confident that all the advice/tips written here are applicable for anyone who wants to use Google Scholar in their work. 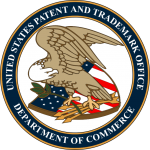 Let’s take the example of patent attorneys. Finding non-patent literature (NPL) relevant to any case is one of the biggest parts of their jobs. Tumbling through the sheer range of databases, repositories, directories, file types and formats they exist in can be exhaustive. 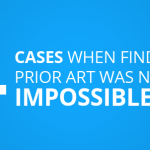 Now, finding scholarly work is not easy when you don’t know where to begin your search with. As we mentioned above, a number of databases and repositories of research information and articles are too much to go through one by one. Google Scholar brings all of such scholarly work at a single place, thus making the entire process easier. Not just patent attorneys, this applies to almost everybody, from students to professors and researchers. Attorneys need to be equipped with all kinds of tools at their disposal to advise clients, present their case in the right light in front of a judge, jury, or the opposing counsel. Moreover, for patent attorneys, the research is more focused because one does not need to just understand patents, but also scrounge for all the non-patent literature relevant to the case. This is exactly where Google Scholar comes to aid. Whether you’re an experienced IP professional or a newbie who is just getting started in the field, Google Scholar is your go-to tool that could help find relevant non-patent literature real easy. PS: If you are in a hurry and would like to get to the meat of the material, you could skip to the next section using the table of contents below. What is the difference between Google Scholar and Google? How to use Google Scholar? How to Access Google Scholar in a Browser? Google Scholar is a free online research library that aggregates all scholastic literature online into one search engine, powered by Google, located at scholar.google.com. Its vast range of scholastic sources includes academic publications, colleges, universities, research institutions, journals, conference papers, theses, dissertations, and other online repositories. It is suitable for academic, technical and legal research purposes (for Ph.D. thesis, research reports, term papers, court documents, etc.). It also combines the ability of Google Patents and gives patent literature in results. It is similar and often complementary to online research tools like Scopus and arXiv.org. University online libraries are designed for academic research among documents within that single university’s records. Similarly, the scope of any other literature database is often confined to its own data. Google Scholar is similar to that, except its search database includes relevant files from all universities and all other online sources of scholastic information. “Focused” is the word. While Google is a generic web search engine, Google Scholar is meant for scholastic search purposes only. 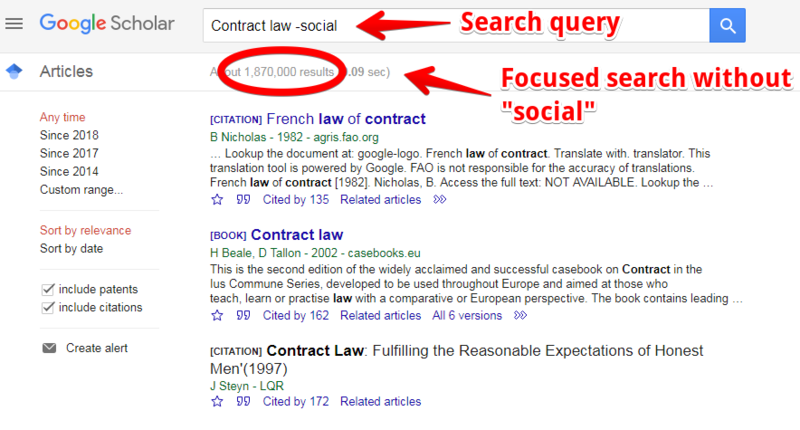 A search for “contract law” gives us roughly 37 million search results on Google. The same search on Google Scholar gives us a little over 2.4 million results. So, we can clearly see that Google Scholar is much more focused than Google’s primary search engine itself. 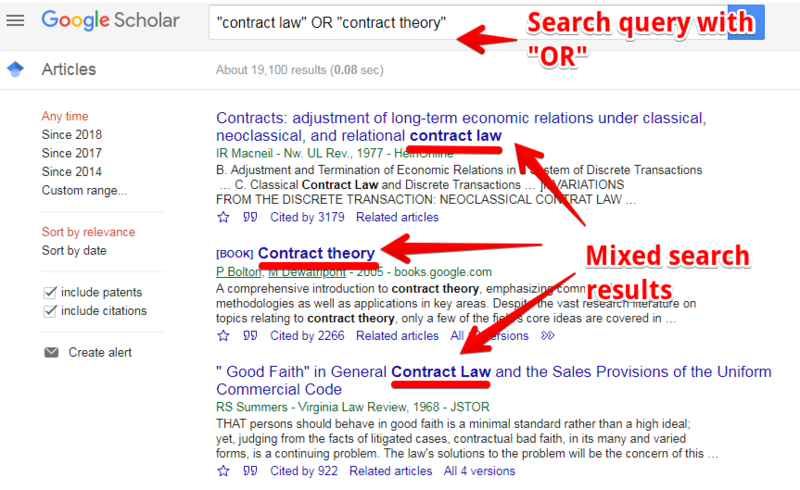 Further, there is a clear difference of purpose between Google Web Search and Google Scholar. If you want to search for articles/news/images/videos (among other things) on the internet, you use the standard version of Google. To search scholarly databases for research purposes, we will use the scholarly version of Google i.e. scholar.google.com. You can use both because they are complementary sources; chances are you may stumble upon a blog in a Google search that will link to a study and will simplify its conclusions for you. But experts agree, if you are clear about the motive of your research, Google Scholar is the hub you ought to go to for efficient searches, instead of Generic google and other Scholastic search engines. 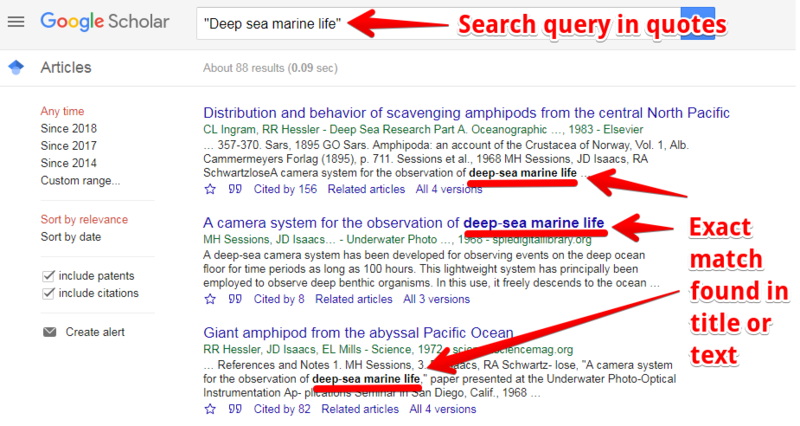 A lot of features differentiate Google Scholar from other similar scholastic search engines. Firstly, it measures the research output by the number of citations, and other citation-based metrics like h-index, and i10 index. 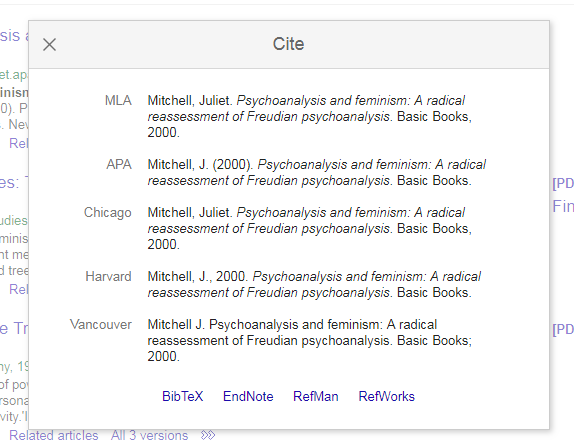 As we will see later in this article, you can create your own Google Scholar profile where you can set up Scholar to track literary citations in your name. Thus, you can keep track of who cites your work and how well ranked your work is. To learn how to use Google Scholar, we will take the help of an example. We will start with the basic search options of Google Scholar, then move on the advanced search and search wildcards for filtering. To make it easier to manage our searched links, we will see how to create a library of saved links and organize it with labels (just like Gmail). This will help us in future search sessions. Google Scholar also makes it easy even if you don’t know any referencing style; it creates ready-made references for papers/articles/documents we want to cite. Not just that, because of Scholar’s integration with other referencing systems, you can simply import references in the format accepted by any of the 4 referencing systems: BibTex, RefWorks, RefMan, and EndNote. Verify that you are on “scholar.google.com” by looking at the URL in the address bar. Make sure you are on the US version of Google Scholar with Case law radio button enabled. Click on “Sign In” on the top-right corner and finish the signing in process. Now, we are ready to search. 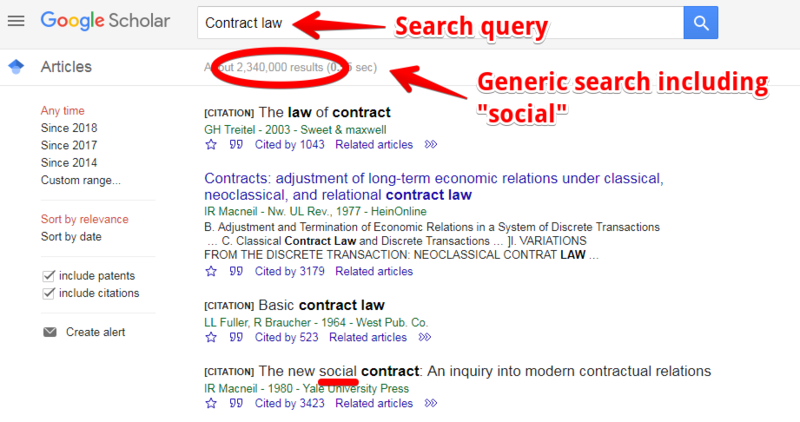 Let’s start our search with the keyword “Contract law”. Clicking on the star will save the article to your library. We will see later in this article about how to manage this library. If an article is already saved to your library, this star will be marked. 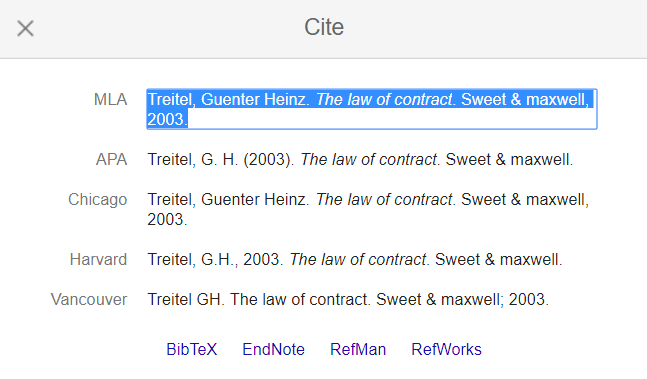 Clicking the quotes (cite) option will open up a mini-dialog window with references pre-constructed in different styles, as shown in the image below. This is a very useful window, as it also allows you to import the article into different referencing management systems and also gives you readymade references in different referencing styles. The “Cited by” count is the number of citations the article has received that have been tracked by Google Scholar. 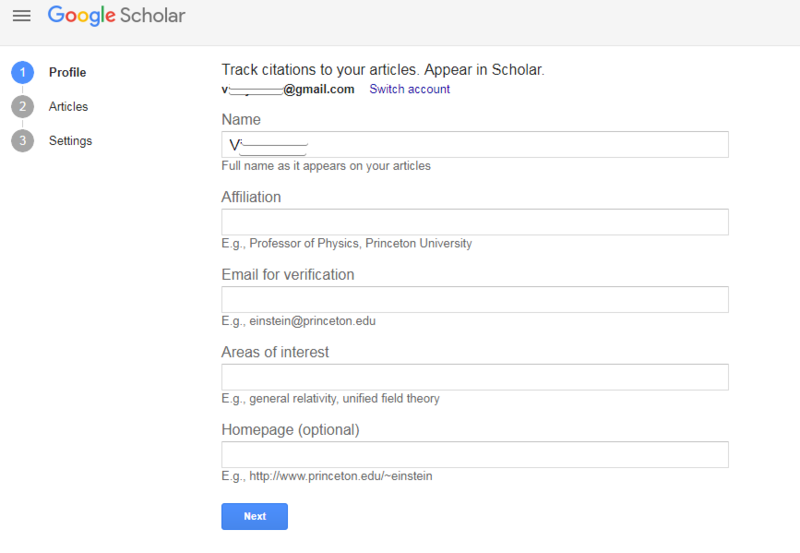 In the Scholar profile section, we will also see how to make Scholar track citations to your work automatically later. Clicking on “Related articles” will search for articles similar to the current one. Restrict search to a specific time period by selecting the year or defining a custom time period. 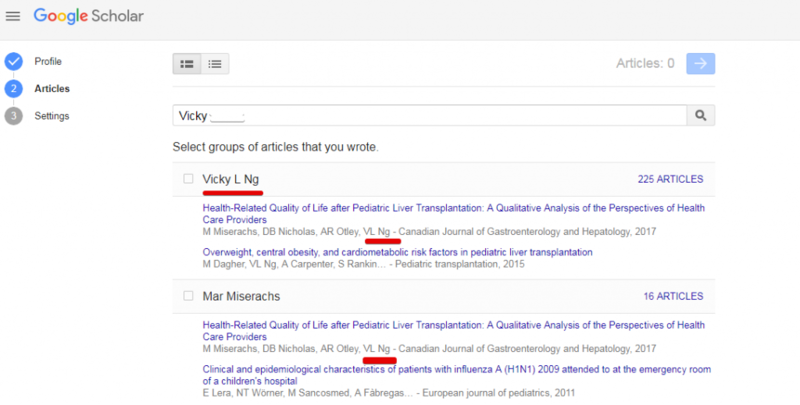 Change the sorting order to see the latest articles or the most cited articles (relevance is based on the number of citations). Set up alerts that send any latest search articles directly to your email. It is used to keep track of the new articles which are published online. Another very useful feature of Google Scholar is the ability to save articles to your library, by clicking the “star” button in search results. You can search while traveling to work and save them to the library to view them later. When you are done with reading the saved articles or when they are no longer relevant to you, simply delete them from the library. Click “My Library” in the top-right corner to open the library. We had saved some articles from the previous search, as you can see in the image above. You can directly click on these articles to access them. To select an article in the library, click the checkbox on its left. To delete a selected article from the library, click the trash icon from the toolbar on the top. Deleted articles are assigned the label “Trash”. Their deletion can be undone as long as they’re in Trash and not permanently deleted. Select an article by clicking the checkbox on its left. Click on the “Labels” icon on the top toolbar on the top. A drop-down opens as shown below. Click “Create New” to open the “New Label” dialog box. Enter your new label in the text box and click “Create”. The newly created label is applied to the selected article. You can assign multiple labels to categorize an article. All the labels you create will be visible in the left sidebar. Clicking on the label will show articles belonging to only the single category. 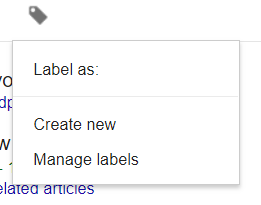 To remove labels, click the “Manage Labels” link from the left sidebar again and this time you will see a list of all the labels you have created. Click the “X” mark next to the unwanted label and click “Delete” to finish deleting that label. You will see the same screen refreshed and update without the label you just deleted. Click the “Back” arrow on the top-left corner to go back to the screen you were working on. It is difficult (often impossible) to get the ideal result of a search on the first page on the first try. It may take several searches to get what you want. We have described several ways to search better in this section. Many techniques are similar to generic Google search; we have tried to add more Scholar-specific techniques as well. Each search result in Google Scholar has a “Related articles” link below it. When you click it, Scholar searches its database for articles similar to the selected one. Fair warning: the filtration options in the left sidebar will disappear when you search for related articles. Similarly, “Cited by” shows the number of citations a particular scholastic publication has received. Clicking on this count opens all the citing articles of the original article. In the image above, you will see a checkbox saying “Search within citing articles” which provides a good way to refine the search to scholarly documents that have cited the original article. Usually, publications refer to the more general source and draw specific conclusions, so you will be moving your research in a more generic direction. While citation numbers may seem like the popular convention to gauge the usefulness of the article, researchers are advised to not rely on citation count as the only indicator of the usefulness of the article. Authors have ways to drum up the citation numbers and citation count given in Google Scholar may not always be very reliable. Both these options (“Related articles” and “Cited by”) are used to narrow your search in a particular direction. One of the most underrated and underused search tricks in Google Scholar are search switches, more commonly known as “search operators”. 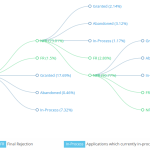 These keywords followed by the “:” are used to narrow down the search. “site:” filter – This will restrict the search only to a specific site. This operator can be used at the end of the keyword. For example, the keyword “mammals site:nd.edu” will search for the scholastic articles and documents only within the University of Notre Dame website (nd.edu). Use this to restrict searching only within one specific university. Another example – “mammals site:.gov” will look for studies and papers about mammals published/hosted on US government websites. “intitle:” filter – This will ask Google Scholar to search for titles containing specific keywords. For example, “mammals –whale intitle: decline” – this key phrase will search for all studies on mammals whose population is declining, it will also exclude any searches for Whale. “author:” filter – This will ask Google to search for scholastic publications of your favorite author or researcher. For example, contract law author: “SJ Burton” searches for all publications on Contract Law solely authored by SJ Burton. When you are searching for an article, most of the times you start with a rough idea of the keywords. It may take several revisions of your search keyword to get your desired scholastic publication on top in search results. Most of the fields are quite self-explanatory. Let’s see how the fields can be better used for a fine-grained search experience. with all of the words – To search for an entire search keyword phrase in the article. Google will return the result if all the words in the search keyword phrase are found in the article, regardless of their order of appearance. with at least one of the words – Use this option when you are not sure if all of the words in the search keyword phrase will be found in the article. without the words – To list all the words that should be excluded from your search. 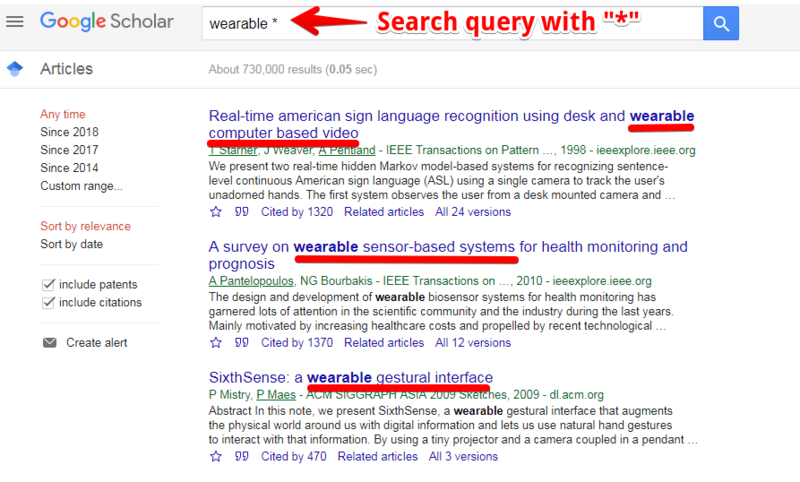 If the article in search results contains these words, the article will be omitted from the search results. In the next three fields, you specify if you want to search papers/publications from a specific author, or published in a specific journal or publication, or provide a range of years to limit your search to. Double quotes – For Google, any keyword or phrase surrounded by double (or direct speech) quotes means it will look for an article with the exact match of keywords within the quotes – all words in the phrase following the same order. So, if you already know the exact title you want, feel free to search the name by enclosing it within quotes. Doing so will eliminate all the other close searches that may be relevant to you but not an exact match. While this wildcard filters out the irrelevant matches, you need to be absolutely sure before using double quotes for a focused search. Use the asterisk (*) sign as approximation filter – If you want to include all possible combinations of a word or a phrase, simply add ”*” sign at the end of it. For example, Google will assume “wearable *” as “titles containing all phrase combinations that start with the word ‘wearable’”. 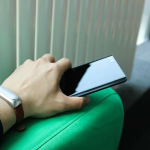 The searcher here wants to search the scholastic literature for all types of wearable tech, not limiting the search to a specific wearable garment. Use the “OR” operator to search in two probable paths – Suppose you are searching for “Contract Law”. If the search results are not satisfactory by expanding your search perimeter to include Contract theory. 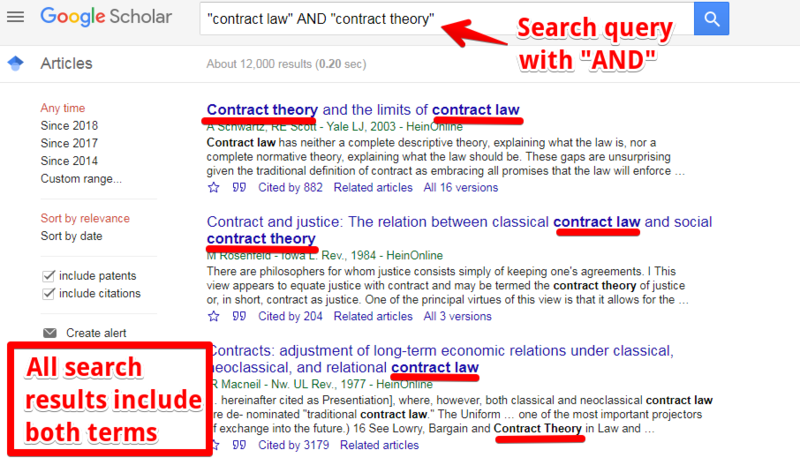 The search query would then be – “Contract Law” or “Contract Theory”. Google then searches for titles matching (or similar to) both keywords – before and after the “or”. Note: The use of “OR” operator is case-insensitive. Similarly, by using the “AND” operator, you will ask Google to necessarily search for only those titles that have both the phrases, ignoring their order of appearance. Sometimes Google Scholar’s global library may be too broad of a search space. It may so happen that students actually just want to search only within their college libraries. Fortunately, Google Scholar allows you to obtain the full text of a publication from your preferred university through its “Library Links” feature. Click the “gear” icon on the menu to open the “Settings” page. Click “Library Links” from the left sidebar. Type your preferred university name and press Enter to search. From the options presented, select the preferred library and click “Save”. You can select a total of 5 such libraries in Google Scholar. 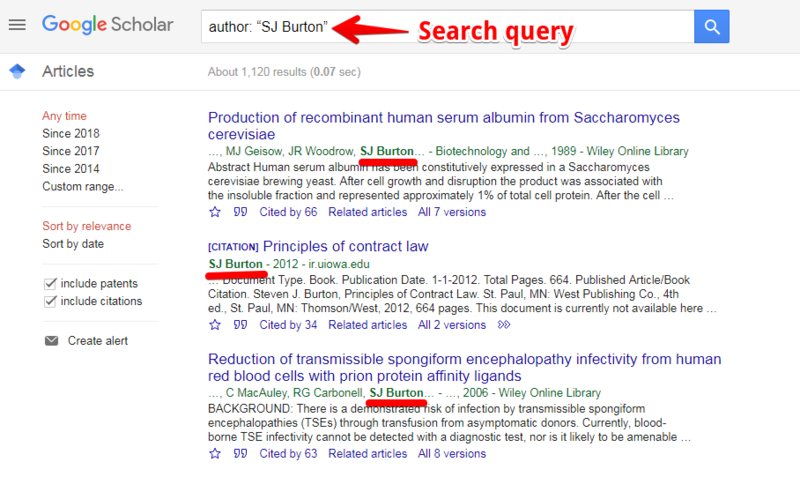 To search for full text from your selected universities, perform a search as usual in Google Scholar. If any search result has its full text on the servers of the universities you selected in the previous step, they will be marked accordingly. Click on the “Find It” link and you will be taken to University portal’s login page. Access the full text you desired by logging into the portal with your correct login information. Note that adding universities this way will ensure the inclusion of these universities in search results, but it won’t exclude other universities. 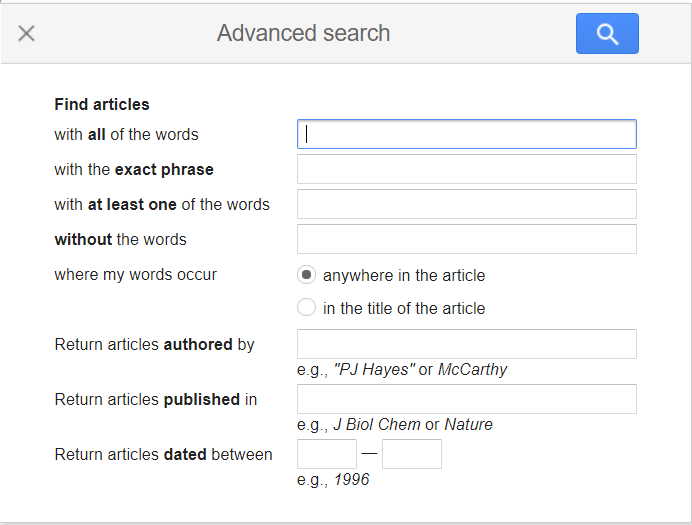 Search for your keyword in Google Scholar. Choose a document to cite, and click the doubles quotes button. The below screen pops out. Click on any of your preferred formats from this screen and follow the instruction on screen. For BibTex, you will get a piece of code in your browser that you will have to copy and save in BibText. For EndNote, you will download a .enw file and for RefMan, you will get a RIS file. Just save and open these files in the respective reference management tool to include it in your reference library. For RefWorks, the imported references will be sent to your RefWorks account. So, you will have to log in to your RefWorks account first, if not already logged in. Often researchers and attorneys specializing in a specific area have to stay updated on all the latest studies and publications in the field. This is where email alerts from Google Scholar come in very handy! Just like Google’s own search alerts, you can also set up email alerts for specific keywords on Google Scholar. It will then send you the latest publication right to your email immediately as Scholar finds them, thus saving you the time and effort required to keep track of new journals/papers/studies in your research field. Perform a search in Google Scholar. From the left sidebar, click the “Create Alert” button. On the next screen, verify your email and the search keyword and click “Create Alert” button. You will start receiving emails as soon as new publications are indexed on Google Scholar for the search keyword you just chose. Since Google Scholar is fast becoming the tool of choice for researchers to publish and find new studies, it makes sense to set up your Google Scholar profile. A properly setup profile will help Scholar automatically track the attributions and citations for your publications. An obvious advantage of setting up a Google Scholar profile is that it becomes the tool to build your influence as a researcher. All this without having to manually track the citations for your work, isn’t that cool? On this screen, add your details accurately. You can also add URL to your website or your university profile. For verification email, Google asks for a professional email on an educational institute’s mail server. 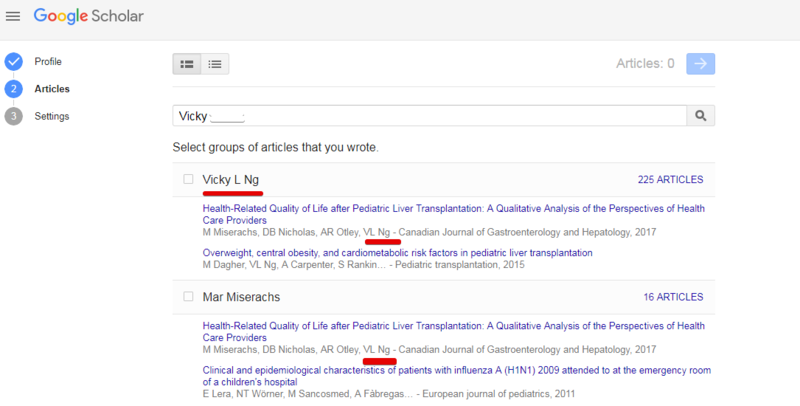 Now Google Scholar presents a list of articles organized in groups that it finds with credentials similar to yours. 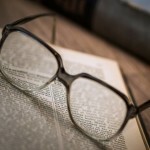 Select the articles that really belong to you and must be attributed to you. The list of these articles might be multiple pages long. So, make sure you scan through all of them. On the next screen, you can update preferences for verification of citations to your article. You can set this up to ensure Scholar asks you to approve every new citation or pre-approve all citations without having to consult you. 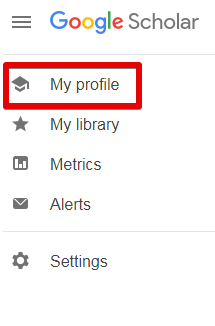 If you select “Make my profile public”, other researchers will be able to view your profile by clicking on your name in search results (when they search for articles attributed to you). Once profile setup is complete, Google sends a verification mail to your university email address you entered in Step 3. You have to click the verification link in this email. Once verified, your email will be visible on this profile. By default, your Google Scholar profile is not public. Other researchers can see your work attributed to you in their search results, but they cannot click your name to view your profile. Having a public profile on Scholar is an indication of credibility. Before you make your profile public you may want to give some finishing touches such as verify if all the articles in the list are correctly attributed to you and add a professional photo of yours. Open your profile by clicking “My Profile” at the top-left corner. Click the “Make it public” button in the resulting dialog box. 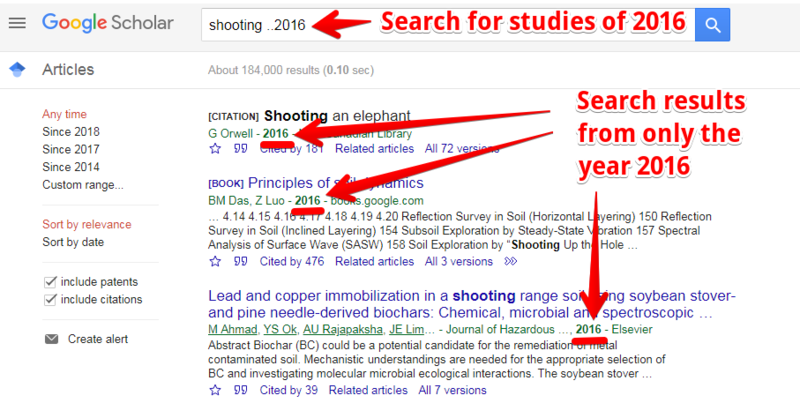 While Google Scholar is a fantastic research tool, it also requires you to have a fair bit of domain expertise to make the best use of it. For new researchers, coming up with the vocabulary/keywords related to specifics in your field might be difficult. If you have a similar problem while working with Google Scholar, you can use secondary research tools like Wikipedia to discover new search terms. Every Wikipedia article has references; you can use them as a supplement to make your Scholar search even more effective. Another important tip to note: Typically, researchers cite more generic studies in references to their publications. Use the “References” section of any publication for which you want to see more general studies. Lastly, if you are not getting the kind of studies you are looking for on Scholar, scroll to the bottom of the Scholar search result page. You will see two columns of related search keywords. They’re placed there specifically to help you narrow down your search process. When doing background research for the law, having access to a world-class database is crucial. Two such databases are JSTOR and HeinOnline. However, these are paid tools and not meant for student researchers or low-budget researchers. While JSTOR mentions their rates outright on their pricing page, HeinOnline specifically requires you to send them a detailed email stating your purpose just to get a quote from them. Fortunately, Google Scholar provides a backdoor to JSTOR, HeinOnline, and similar databases. It thus becomes an effective way to control your search costs. Go to the Google Scholar homepage. Check the “Case law” option just below the search box. You will see more options for different courts. You can select the target court to search its documents here or you can refine it during the search. Enter the search term in the text box and press Enter key. 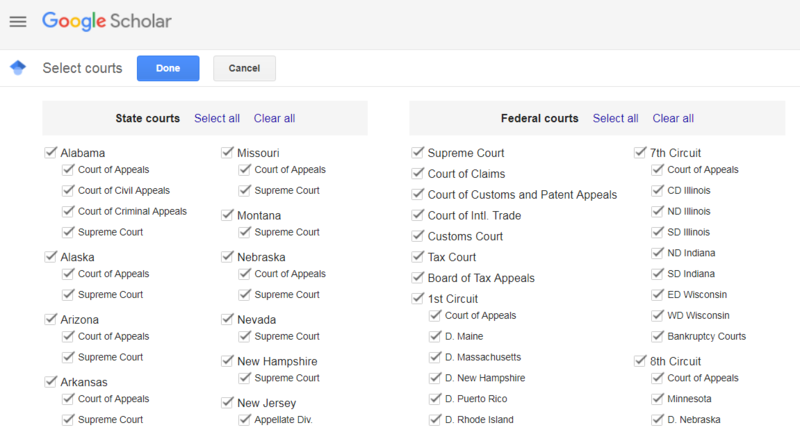 As you see the search results, you will see the same court selection options in the left sidebar. When you click “Select Courts”, you will see the whole structure of courts in the US, including state supreme courts, and federal courts. Select one or more your target courts to narrow down your search. Without Google Scholar, you have to rely on manual options such as scouring and scavenging for physical copies of court verdicts and other related documents. Often when you are reading court verdicts, they refer to previous cases as a benchmark for making legal decisions. Finding a referred case is a whole another story, it takes up way too much time for the amount of research output it gives. Scholar not only links the referred case verdicts from within the text of the verdict, but it also lets you discover cases where a verdict has been cited and how many times it has been cited. This is one of the most effective tools for legal research. As comprehensive as Google Scholar is as a research tool, it still has a few chinks in its armor. First, it doesn’t cover every academic publication source. Second, it doesn’t have any way to check if an article is peer-reviewed. You may miss out on critical research, so you should not rely only on Scholar for your academic and legal research. Google Scholar also doesn’t have an option to filter out articles that have not been peer-reviewed or don’t have the full text available. But then, almost every good thing comes with its own set of cons. In the case of Scholar, the pros far outweigh the cons. Google Scholar is undoubtedly one of the most powerful research tools for anyone interested in scholarly/academic research. It provides a vast set of options to widen or narrow your search directions. You can also search for articles that have cited a particular publication. You can save articles into your personal library and read it from any device. Not just that, you can set up your Google Scholar profile and it will automatically track all the works published in your name. For all its positives, Google Scholar still doesn’t allow you to restrict its searches to only those documents whose full-text version is available. There is no way to determine if an article you found on Google Scholar has been peer-reviewed or quality-checked. Nonetheless, Google Scholar is an amazingly robust and well-designed tool. Google doesn’t make any compromises for any software product it develops and it’s obvious that the same level of work has gone on into developing Google Scholar. 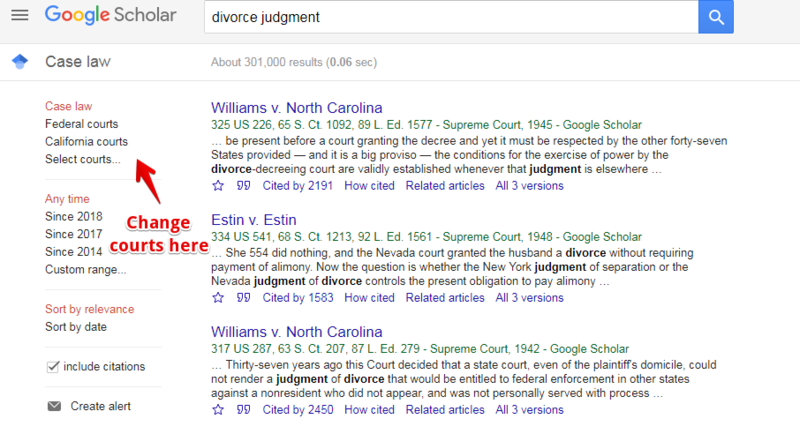 Google Scholar: One of the best free legal research tools you could and you should get your hands on. Next on our list comes the Google Patents. Quite similar to Google Scholar, Google Patents is a Patent search engine with really impressive features and user interface. 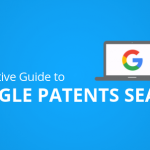 We created a similar in-depth guide for Google Patents a while ago by keeping both professional and emerging patent practitioners in mind. 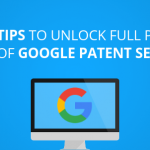 We have tried to cover almost everything about using Google Patents in your patent searches along with some tips and tweaks to make entire searches more powerful. Click here to become a power user of Google Patents. 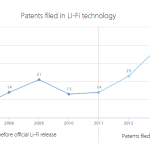 Which Companies were Researching in LiFi before Harald Haas?